Custodial Crusader warned them. District Deeds warned them. The incompetent Superintendent Cindy Marten and crony Board of Trustees refused to listen. 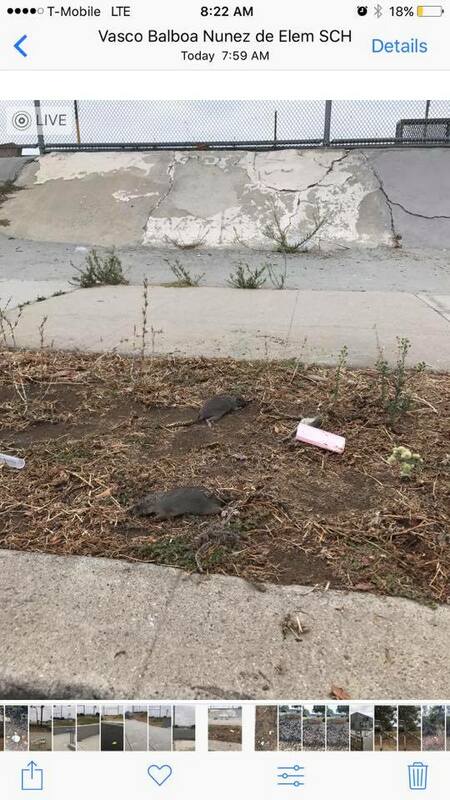 After a full summer of “deep cleaning” by a reduced custodial staff, there is physical PROOF of dead rats, drug paraphernalia, used condoms and trash at Balboa Elementary …a school in San Diego Unified School District (SDUSD) Board President Richard Barrera’s Sub District D!!! We warned you…and this is just the beginning. “Buried in the 5,576 “Human Resource Actions” are the double digit layoffs, retirements with no replacement, and reductions of hours for Custodians across the SDUSD. This is the approval of what District Deeds Whistleblower “Custodial Crusader” warned us about on 2/3/17 in “The “Horrors” of Custodial Cutbacks“. That 5 days will allow rats, cockroaches and other pets to carry diseases to our students classrooms and playground areas. Now the proof of those predictions are coming true. 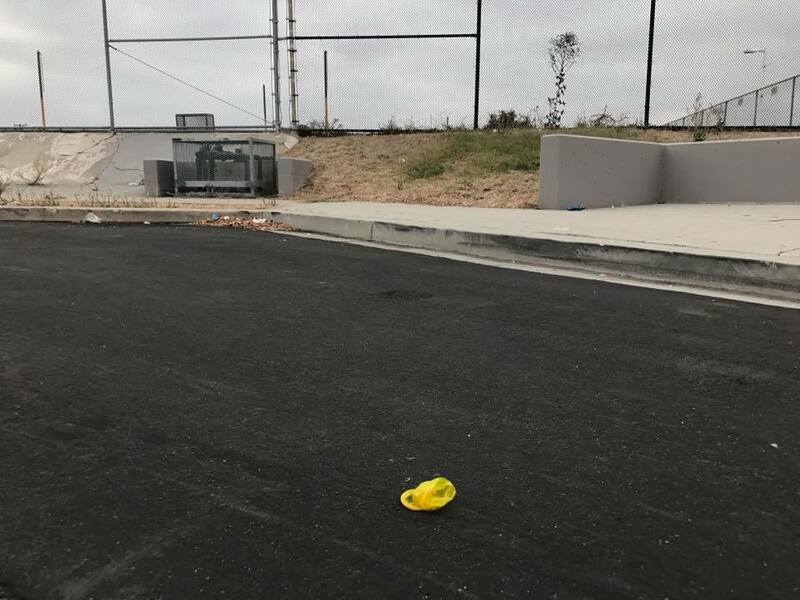 Melanie Vigil called 10News after she found used condoms, dead rats and empty alcohol bottles near the school on her morning walk. Balboa Elementary School principal, Hector Bravo, told 10News the school is the victim of budget cuts. Right now, they only have one full-time custodian getting the classrooms ready for their first day. Chicana702 is at an inner city elementary school, where kids start their first day on the 28th. The school is littered with the most unthinkable debris. Used condoms broken bongs, trash, alcohol bottles, dead rats, and more. She is reaching out to the community and the San Diego Unified School District. 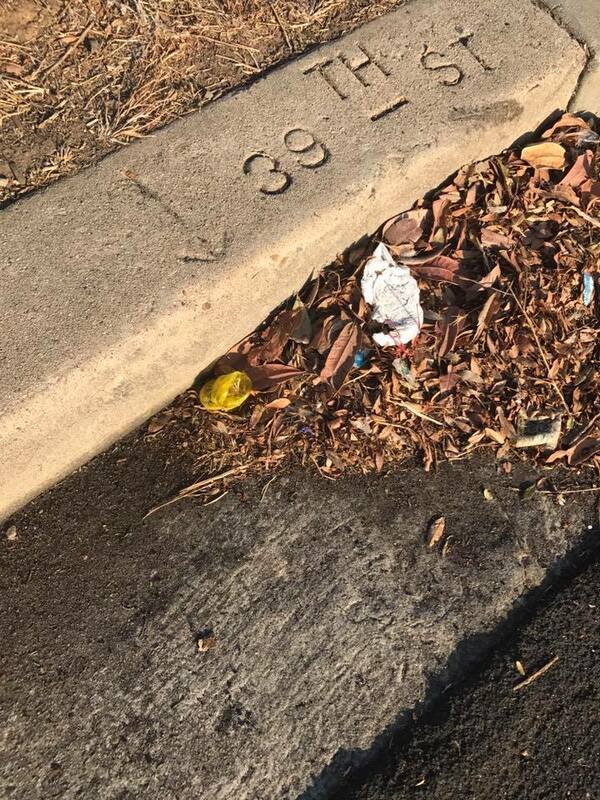 If you want to donate your time to help clean it up please respond to this post. We need a landscaping company to donate their services to remove dead bushes and debris. 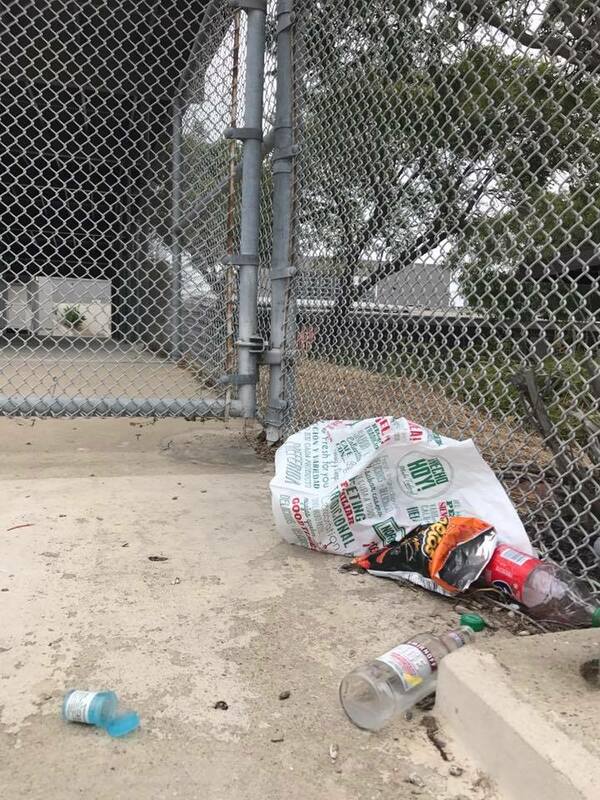 How horrible is it that a SDUSD Stakeholder has to beg PARENTS to “step up” and take the role of Custodians and clean up dead rats, drug paraphernalia and used condoms at their kid’s school? Adding to the horrific situation is the sweltering hot first week “early start date” (rammed down the throats of SDUSD Stakeholders by Marten) that will make the rotting food, dead rats, and feces decompose that much faster. Schools will have a reduced Custodial staff and all Site Students, Teachers and Staff will have to exist in a sweltering hot, seriously contaminated and diseased school site environment that progressively gets worse. Welcome to the 2017/2018 School Year produced by Cindy Marten!!! Instead of Parents “stepping up”, District Deeds believes that it is about time the SDUSD Board Trustees “step up” and fire the person responsible for this health disaster…unqualified Elementary School Superintendent Cindy Marten. Meanwhile, on August 22nd, the day before the Channel 10 report, “Super Model Marten” (nice haircut), instead of reviewing campuses and discovering disastrously unhealthy schools sites (doing her job), was on Channel 8, spreading her phony “Back to School” lies. 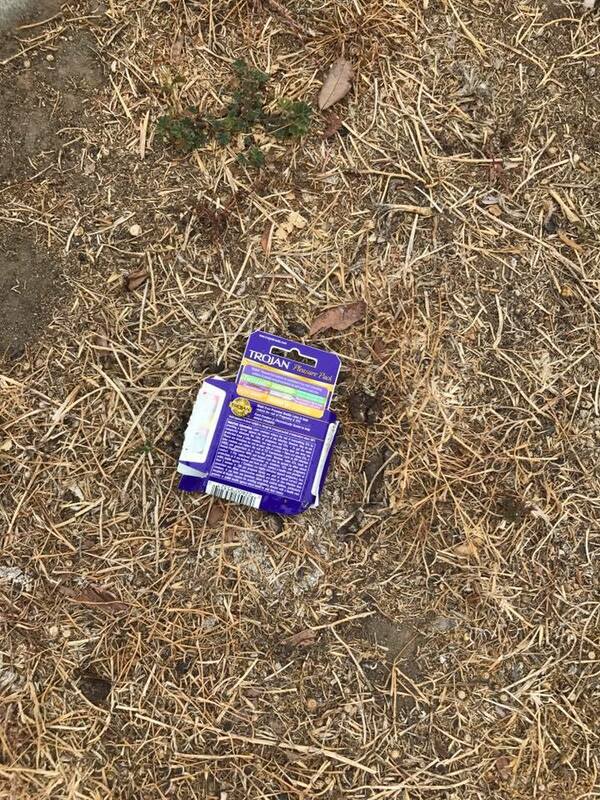 Lies about “all the SDUSD schools having their own “wellness plan”…but neglecting to mention what type of “wellness plan” is built around dead rats, drug paraphernalia, animal feces, used condoms and trash. A perfect example of SDUSD Superintendent Cindy Marten incompetence and lack of honesty/ethics personified. Welcome Back to Filthy San Diego Unified Schools….and the Filthy San Diego Unified Senior Leadership that caused it. Make sure your kids have ALL their shots!!! Why with all the reforms to reevaluate the naming of public parks,schools and other civic places, would the school district name a school after the murderous conquistador Nunez Balboa who executed indigenous homosexuals by dog pack? I was the Custodial crew leader at Balboa Elementary school for 10 years up until I took the early retirement in June. I moved to within 2 blocks of the school after the 3rd month to be close to work and because I believed in the principal and teachers who were nothing short of uber dedicated and spectacular human beings. I had 2 other custodians working with me at the time and it took us a good solid 2 years to haul out the junk and trash that had accumulated since 1928. Mueller and I frequently worked overtime ( without pay) and on weekends because we had fallen in love with everything Balboa. We referred to the staff as “My Teachers” our family! There was a positive energy on the campus that you could feel in your bones. It was exciting! My/our teachers had our cell numbers and could, and were encouraged to call us for anything. The sooner we could attend to an issue, the sooner it became a non issue. It was indeed a symbiotic relationship. We made what few resources we could beg, borrow or appropriate work for the greater good. As our administrator and teachers were recognized for their work, they were also rewarded to some degree with advancement opportunities. With new administration came disaster at a blistering pace. The stick rather than the carrot approach was adopted because the new administration believed it had a “mandate” to change something that was not broken. The exodus of tenured teachers and support was swift and palpable! Teachers with 10, 20, 30 years at this same campus were gone. Sometimes overnight. Sad, how the hard work, love and dedication to craft were wiped out within the 2nd year. The 4 superintendents prior to “lost in OZ” Cindy Marten spent years working toward making the education center the “right size”. This was all turned around virtually overnight and once again super-sized by Marten. Raises of $30,000.00 each were handed out to favored employees. Entire departments costing millions of dollars to run were created helping to grow significant deficits. Team Marten and the Board of Education have determined clean and well maintained facilities are simply not important. 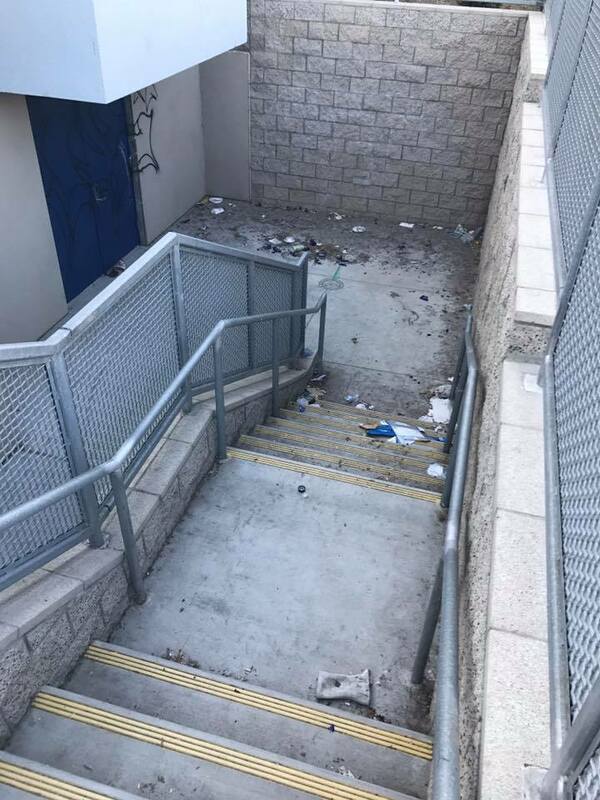 It is however important to demand clean and well maintained facilities from over whelmed Principals despite the fact you have removed their supports. The school district is full of hard working dedicated individuals who work hard every day trying their best to make a positive difference in the lives of the students we love. Team Marten insists on hobbling us, cutting our pay, insulting our efforts with a total lack of respect for us and the value of our work. When I first was told the B of E appointed Cindy Marten I said “Stop, that is nothing to joke about” All these years later the travesty of this appointment continues to infect the district. I guess it was a joke, a joke on you, on me, on the students, on the tax payers, just not funny. Team Marten is a cancer and needs to be cut out. FIRE THEM! We do not need unqualified dreamers we need and deserve highly qualified, fiscally responsible leaders.